Do you have extra eggs or eggshells lying around? Don’t toss them, here’s are unusual ways to put them to good use. Have stubborn messes that soap and water alone won’t take care of? Crushed eggshells provide gentle but effective scrubbing power. An empty egg carton is the perfect place to start seedlings where they won’t be eaten by wild animals or overgrown by weeds. For a truly unique decoration, empty and decorate eggs. They can be made into any color and design you like. 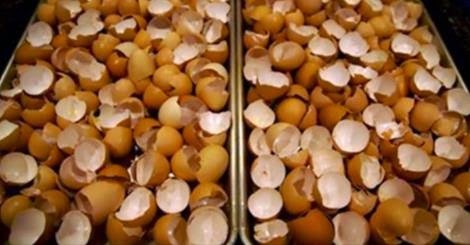 Replace your soil’s lost nutrients by adding crushed eggshells. Eggshells contain lots of calcium, a mineral your plants need to grow. Get shiny, lustrous hair by conditioning your hair with a mix of eggs and olive oil. Keep your pet healthy in a natural way by crushing eggshells and adding them to his food. Crushed eggshells sprinkled in your garden is a great way to deter pests such as slugs and snails. If your coffee is too bitter, try adding a little crushed egg shell to your coffee grounds before brewing for a smoother, more enjoyable flavor. Why spend the money on fertilizer when you can make your own? Eggshells are a great addition. Is your skin dry and cracking? Wash your face and body with an egg yolk wash for skin that is soft and smooth. Keep your leather furniture looking clean and shiny by wiping it with egg white. Egg whites are a safe and natural way to strip the dirt and oils that have built up. Alternately, fill your empty eggshells with wax and a wick instead, for a beautiful, homemade candle. Keep your laundry looking fresh and new by adding crushed eggshells in a closed cotton sack. The shells will whiten while your machine cleans. Mix eggshells and apple cider vinegar together for a safe and natural acne treatment. I have used my egg shell this way for at least 50 years.